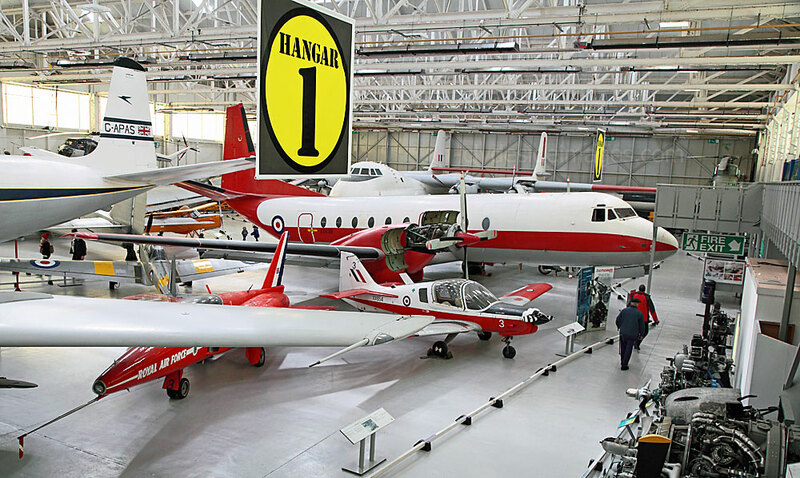 This hangar contains mainly Transport and Training aircraft plus there are also substantial engine and missile collections totalling over 60 exhibits. Hawker Cygnet. 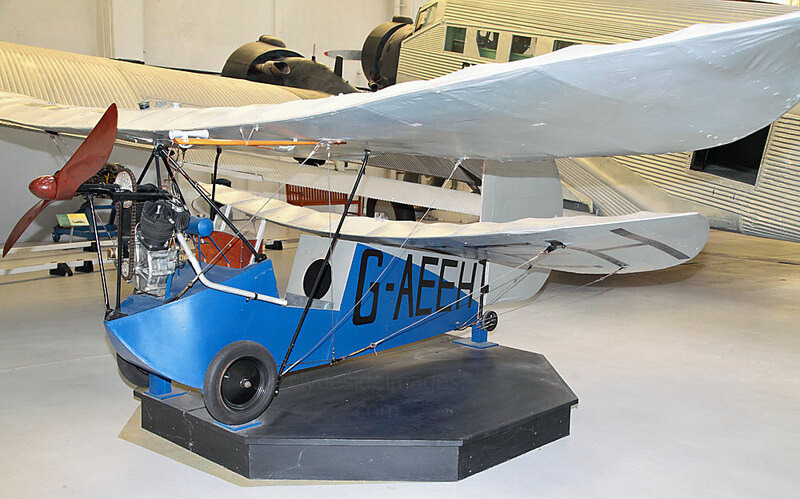 In 1924, the Royal Aero Club organised a light aircraft competition and the famous aircraft designer Sydney Camm produced the Hawker Cygnet for his entry. G-EBMB is one of only two built, coming third and fourth in the competition. In another contest two years later, they came first and second. In 1929 this example was put into store and was rebuilt in 1948 for a number of exhibitions. 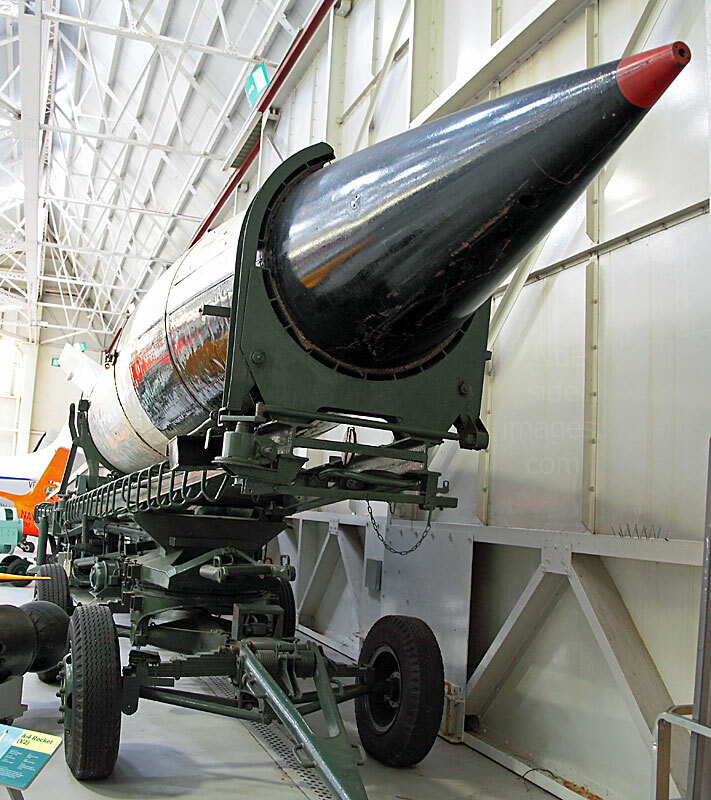 In 1961 it was again put into storage before moving from Dunsfold to the RAF Museum for display in 1972. ​Henri Mignet HM.14 Pou-du-Ciel 'Flying Flea' G-AEEH. The 'Flying Flea', designed in 1934 by Henri Mignet, was probably the first home-built to be offered to the public for home construction. Following a number of fatal accidents and the discovery of aerodynamic design errors the French authorities banned it from flying in 1936. The British authorities following suit in 1937. 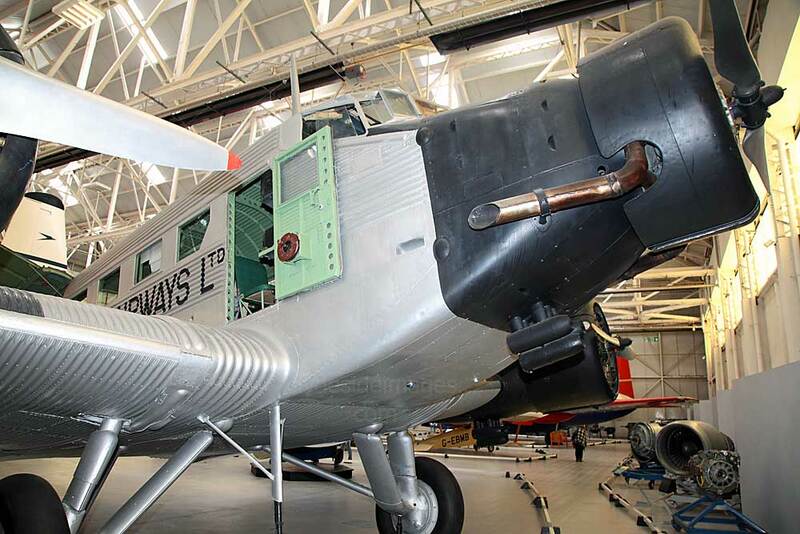 The example on display was built between 1935 and 1936 and flew from Whichurch airfield over the next two years. 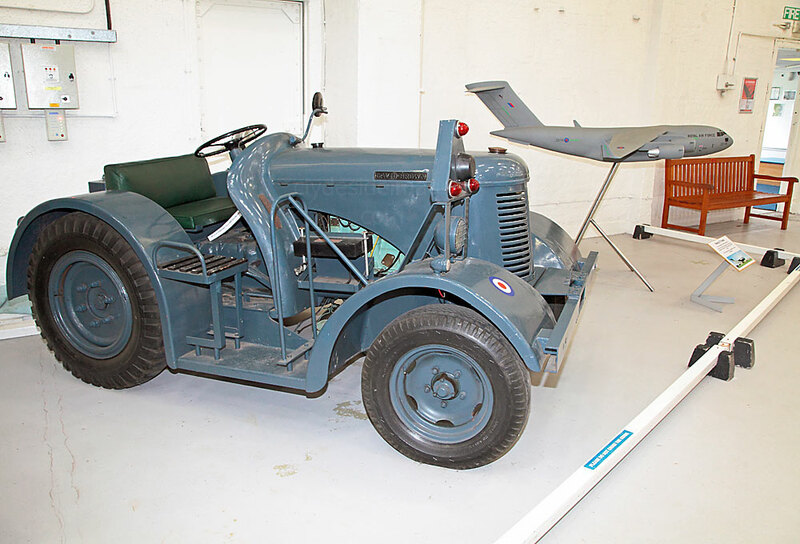 For almost thirty years it remained in the owners garage before being loaned to the RAF Colerne Museum in 1966. 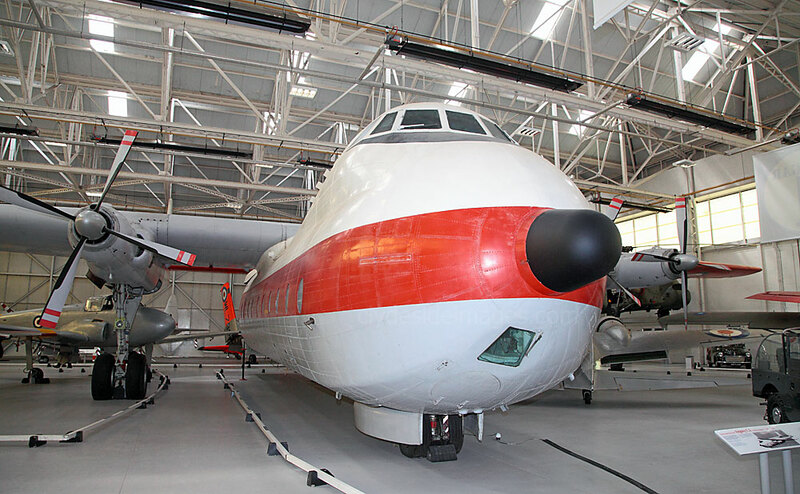 In 1976 it was moved to St Athan and on to Cosford in 1994 to be restored and put on display. 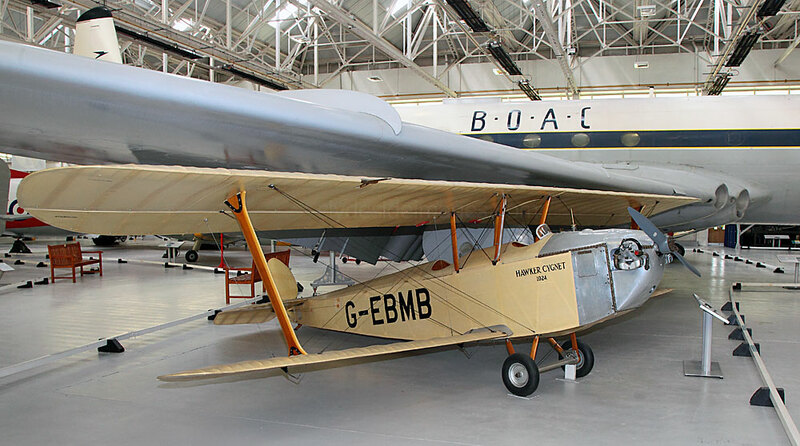 In 1923 Flying Officer Nicholas Comper formed the 'Cranwell Light Aeroplane Club' (CLAC) for apprentices at RAF Cranwell and later the Comper Aircraft Company was created to build a light sporting aircraft, the Comper CLA.7 Swift. 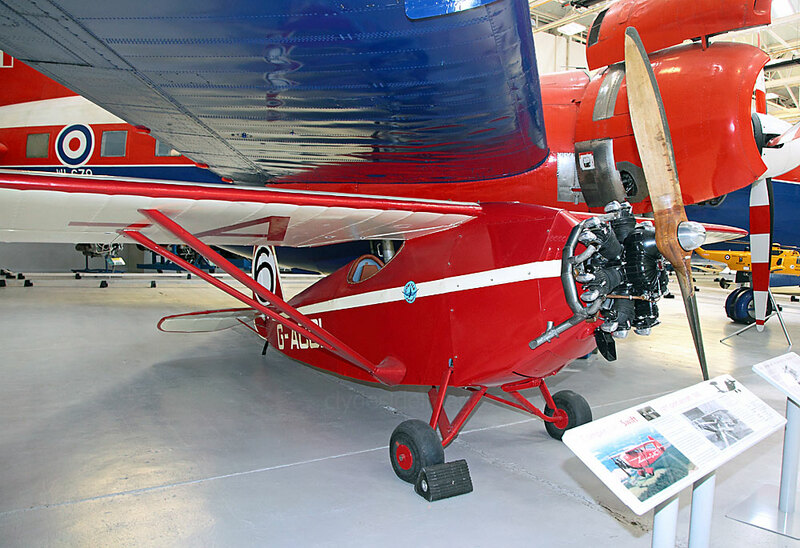 Production ran from 1929 until 1934 and the example on display, G-ACGL, was built in 1933 for Alex Henshaw who went on to win the Siddeley Trophy at the 1933 Kings Cup Air Race. 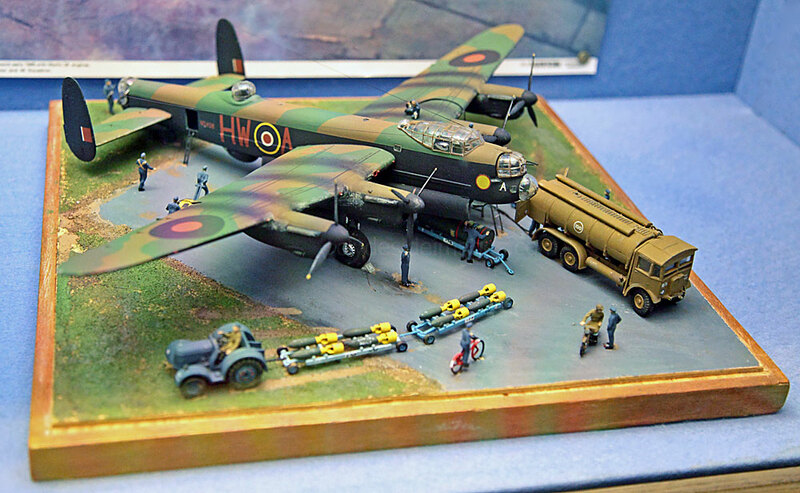 A scale model diorama of a Lancaster being prepared for a bombing mission. Left: This is Percy, the Parachuting Penguin! 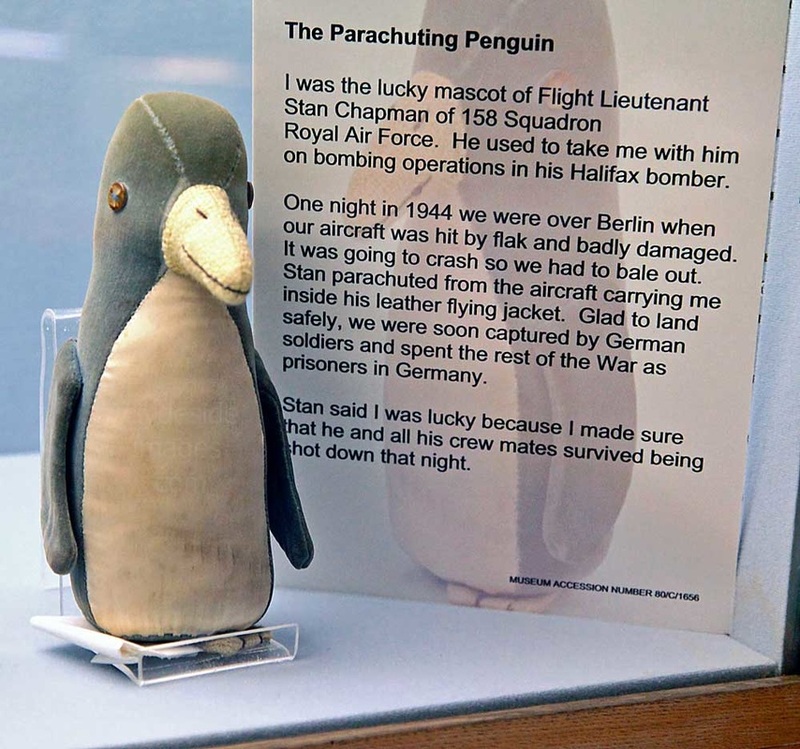 He was the lucky mascot of Flight Lieutenant Stan Chapman of 158 Squadron RAF who used to take Percy with him on operations in his Halifax bomber. One night, in 1944, while over Berlin, the aircraft was hit by flak and badly damaged. 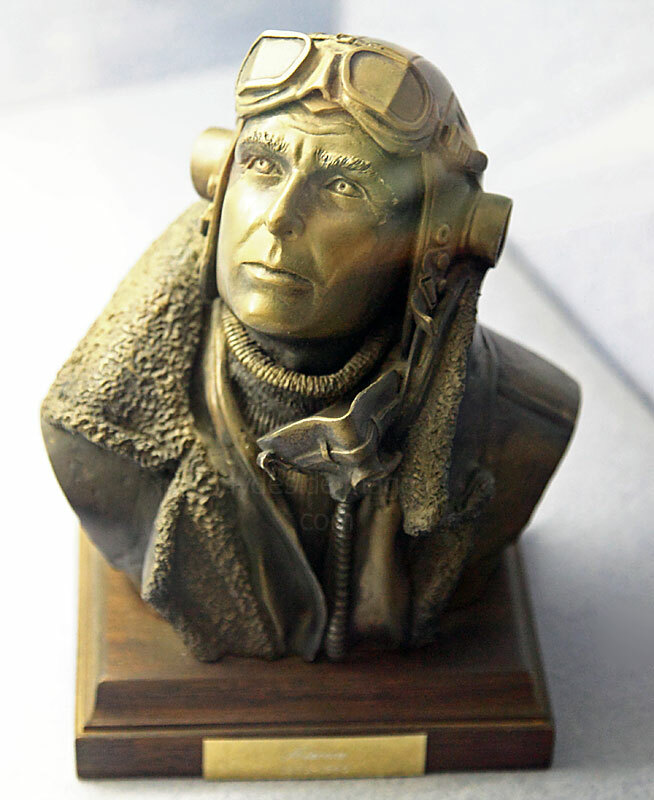 Chapman, with the intrepid Penguin tucked inside his leather flying jacket, baled out and although both landed safely they were quickly captured and spent the remainder of the war as POWs. All the other crew members also survived. 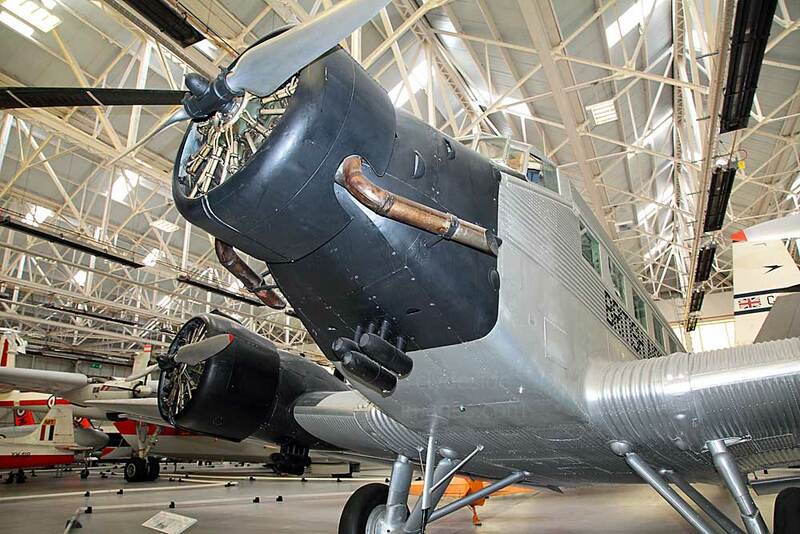 This Spanish-built CASA 352L variant of the famous Junkers Ju 52 is displayed in all-metal pre-WW2 British Airways markings who purchased three of these aircraft. During the Second World War the Ju 52 became the Luftwaffe's standard workhorse and was known affectionately as 'Tante Ju' (Auntie Ju). Flown mainly as a transport, it also fulfilled air-ambulance and, more unusually, mine-clearance roles. For the latter it was fitted with a large metal hoop which could be energised by a motor to explode magnetic sea-mines. 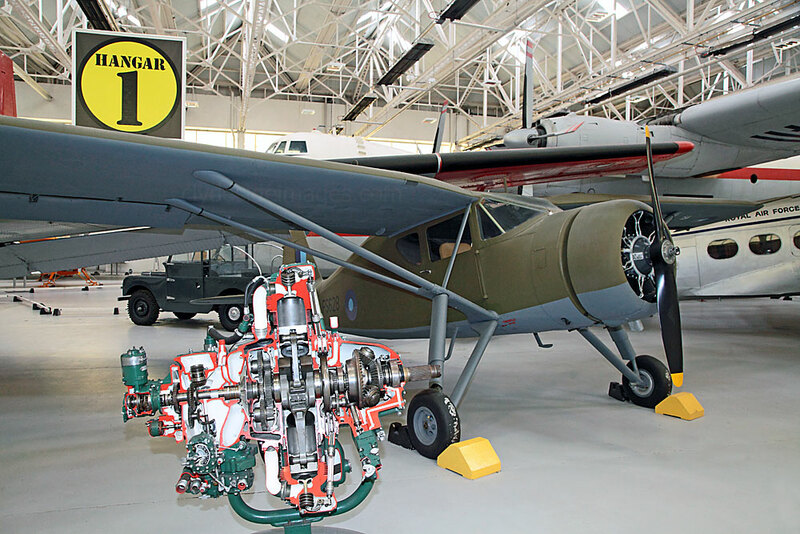 ​Introduced in 1945, the Auster AOP.6 was designed as a successor to the Taylorcraft Auster V and had a different appearance to the wartime Austers partly due to the lengthened landing gear struts. Around 400 were built most serving with the RAF although some were supplied to the Belgian Air Force, the Royal Hong Kong Auxiliary Air Force, Royal Canadian Air Force, South African Air Force, and the Arab Legion Air Force (Jordan). A dual-control training version of the AOP.6 was produced and designated Auster T.7. 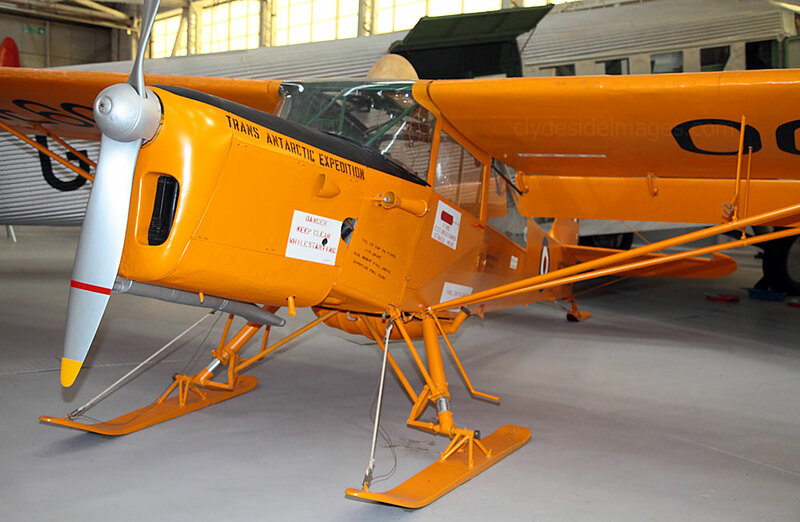 ​In 1955 two T.7s, one of which was WE600, were modified for use on the 1956 Commonwealth Trans-Antarctic Expedition, being designated Auster Antarctic. 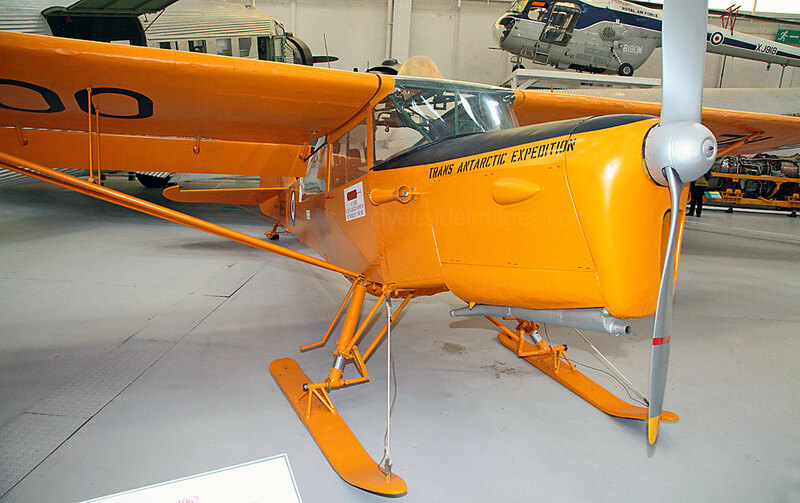 To help it cope with the extremely harsh conditions the aircraft had extra radio equipment, larger tail surfaces, the ability to be fitted with floats or skis as required and a bright yellow finish to increase visibility against the snow and ice. 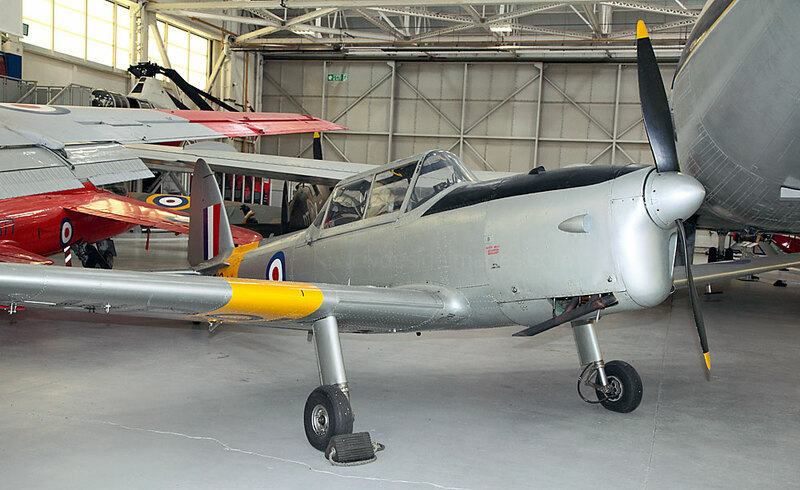 The Canadian-designed de Havilland Chipmunk was one of the RAF's longest serving aircraft types. 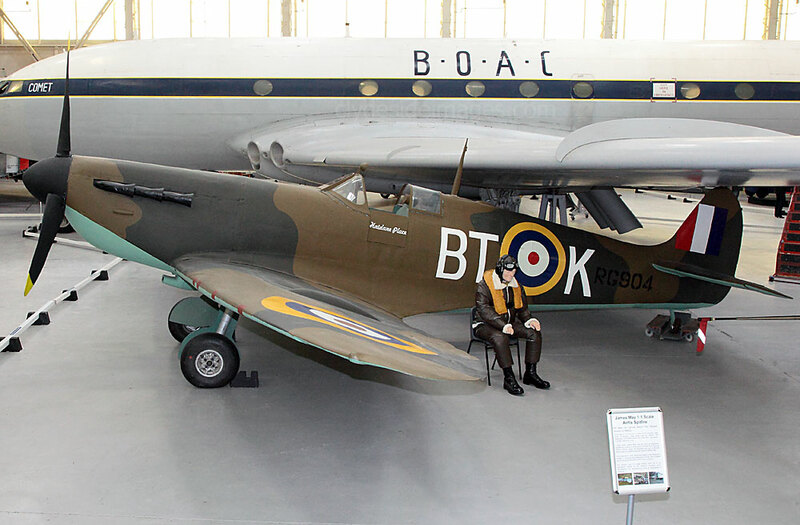 It entered RAF service in 1950 to replace the Tiger Moth as an initial pilot trainer, offering relatively modern features such as flaps, brakes, radio and an enclosed cockpit. ​They also equipped the RAF's University Air Squadrons until 1973. 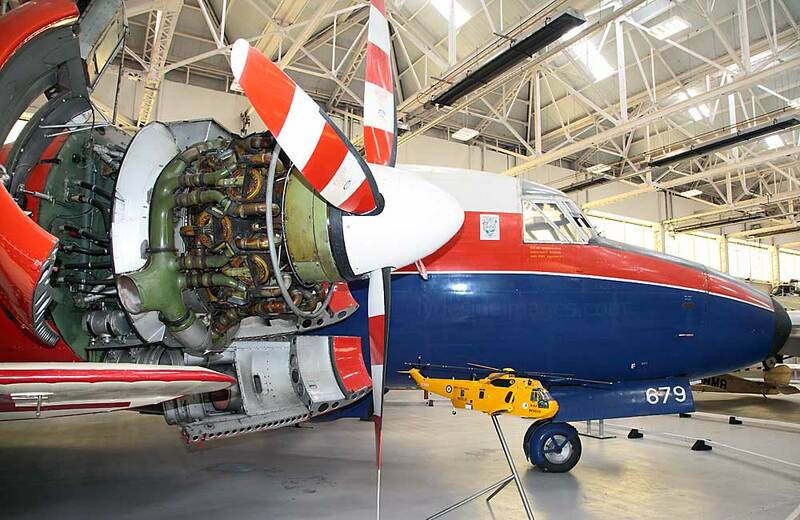 Although the type was retired from flying training in 1993, Chipmunks continued to serve with the RAF's Air Experience Flights until 1996, enabling many thousands of Air Training Corps and Combined Cadet Force cadets to have their first taste of flight. Vickers Varsity T.1 WL679. 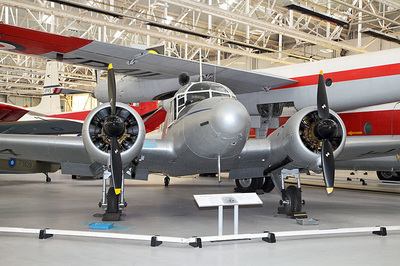 The Varsity entered service in 1951 in the multi-engine crew training role, taking over from the ageing Wellington. As well as pilots, flight engineers, radio operators, navigators and bomb aimers all trained on the type. 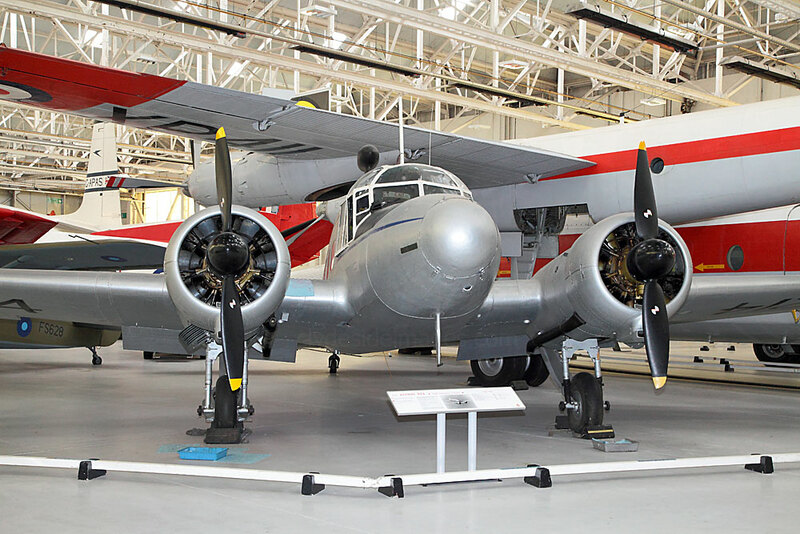 A total of 163 Varsity`s were built and WL679 spent most of its career with the Royal Aircraft Establishment (RAE) before coming to the RAF Museum in 1992. 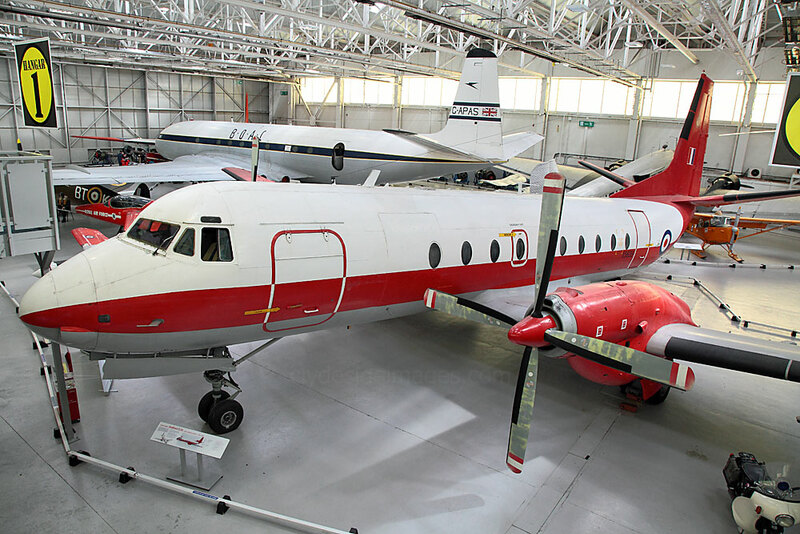 The Andover was developed from the Avro 748 airliner to meet the requirement for a Short Take-off & Landing (STOL) transport aircraft operating in troop transport, para and freight-dropping and casevac roles. 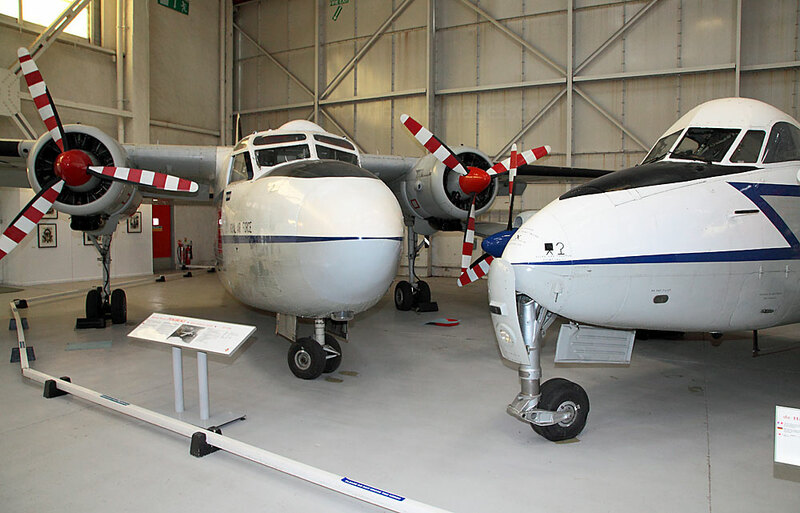 The first Andover flew in July 1965 and a total of 31 were built. The aircraft displayed at Cosford, XS639, was one of seven modified from the basic C.Is for use in navigation-aid calibration. 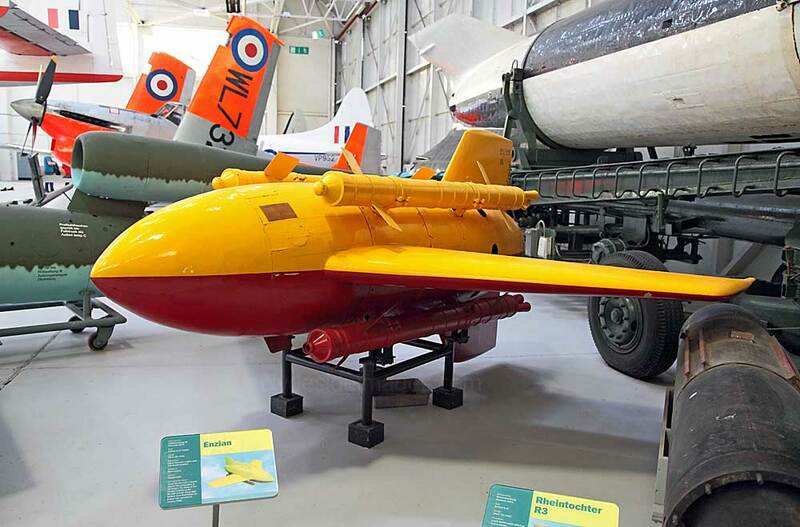 Displayed alongside the Andover is a Fairchild F-24 Argus, one of over six hundred delivered to the RAF under the Lend-Lease scheme during the Second World War. The type was used in the light communications role by the RAF and found a particular niche ferrying pilots of the Air Transport Auxiliary. The Museum's aircraft, now bearing the civilian registration G-AIZE was used during the war as a hack for the US 8th Air Force. Armstrong Whitworth Argosy C.1 XP411. The RAF ordered 56 Argosies for use as medium range transports. 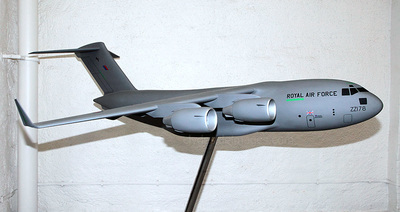 The prototype flew on 4 March 1961 and these aircraft served with the RAF until their retirement in 1975 when many were sold to the civilian market. ​The de Havilland 106 Comet was the first commercial jet airliner, its first flight having been made in July 1949. BOAC commenced operations in 1952, however, following a series of tragic crashes due to metal fatigue, the Comet 1 was withdrawn from service and redesigned. The Comet 4 was the result four years later but the impetus was lost and the Boeing 707 subsequently dominated the early jet airliner market. 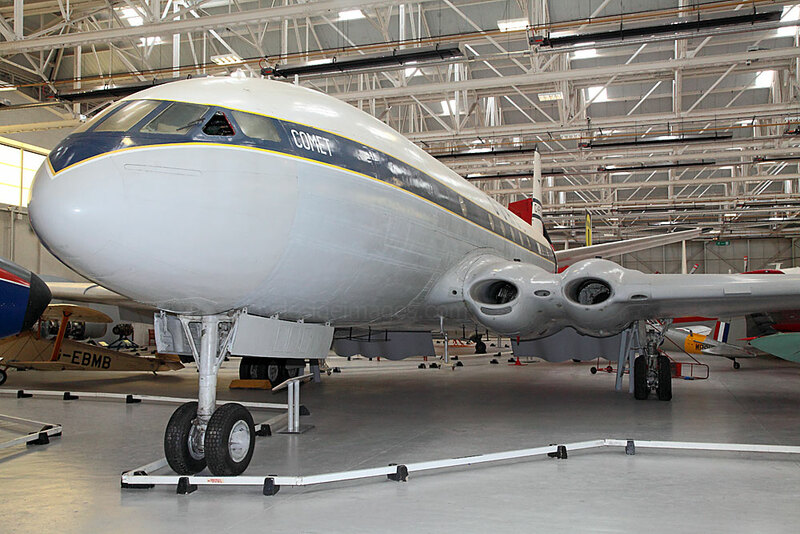 ​The Comet 1XB G-APAS on display, painted in original BOAC colours, was delivered to Air France and is the only remaining Comet 1 in existence. A panel alongside demonstrates the results of a metal fatigue test on the fuselage of Comet G-ALYU. Hunting Percival Pembroke C.1 WV746. Entering service in 1953, the Pembroke took over from the venerable Anson in the light transport and communications role. 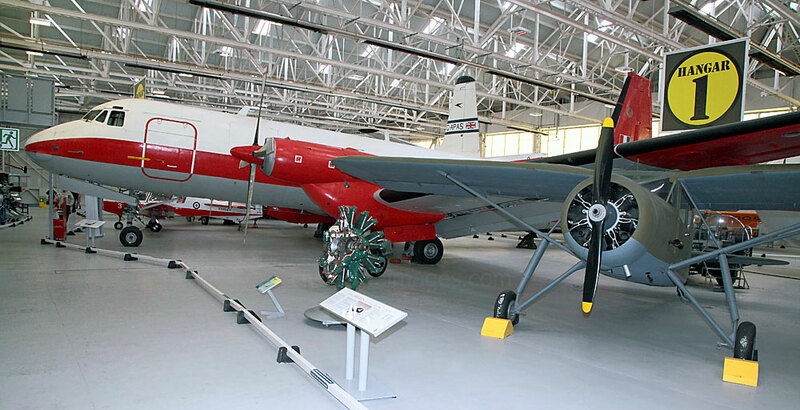 Displayed alongside the Pembroke is de Havilland Devon C.2 VP952, a design developed for the RAF from the civil de Havilland Dove 4. 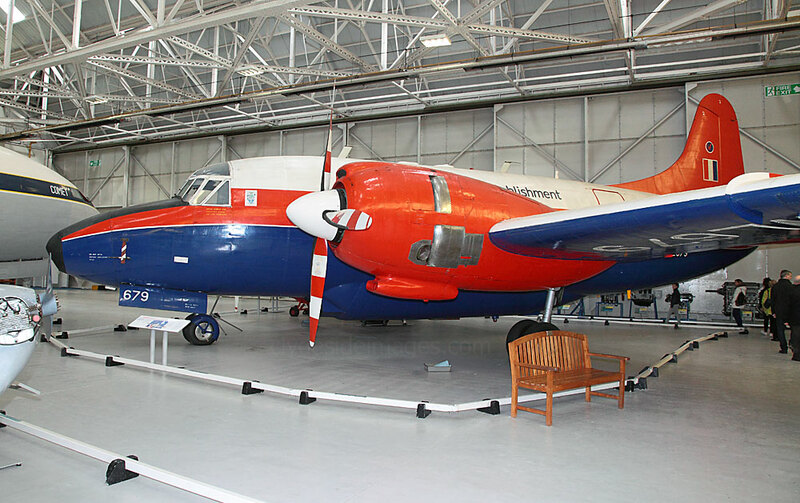 Most, like the Pembroke, served as light communications and transport aircraft. This particular example was the first to be supplied to the RAF and was used in military trials by the Handling Squadron at RAF Hullavington. 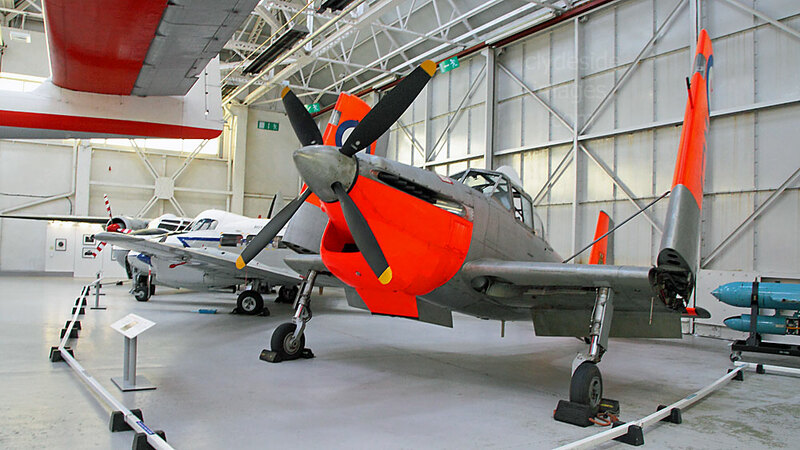 Boulton Paul Sea Balliol T.21 WL732 has recently been placed back on display after an extensive restoration. The aircraft served at RAF Lossiemouth and Anthorn in Cumbria before its retirement at Henlow in 1969. The museum acquired the plane in 1979. Hawker Siddeley Gnat T.1 XR977 in Red Arrows colours and Scottish Aviation Bulldog T.1 XX654 (3). The first Bulldog flew in 1969 with Beagle Aircraft at Shoreham who ceased trading and Scottish Aviation took over the production at their factory at Prestwick in Ayrshire, Scotland. In 1972 the RAF ordered 130 Bulldogs following on from an order by the Swedish Air Force for 72 aircraft. The Bulldog was retired from RAF service in 2001. 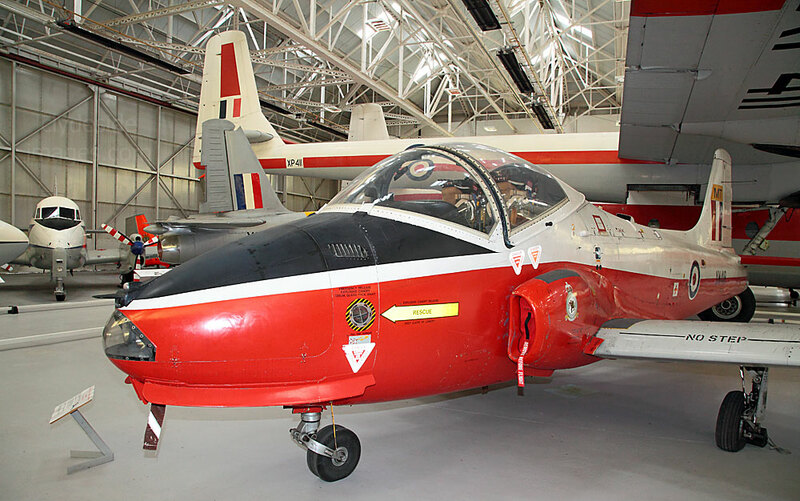 Hunting Jet Provost T5A XW418 (MT) dates from 1972 and served with training units at several RAF stations before being transferred to Cosford as a ground-running instructional airframe. ​A total of seventy-two Dragonflies served with the Royal Navy and fifteen with the RAF while British European Airways (BEA) used them for commercial operations in the early 1950s. 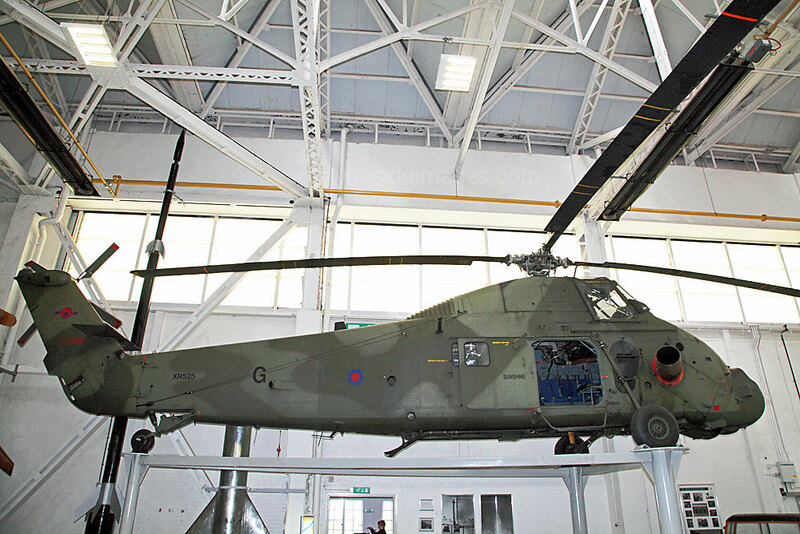 Cosford`s Dragonfly is WP495, an HR.3 variant painted as civilian BEA helicopter G-AJOV. 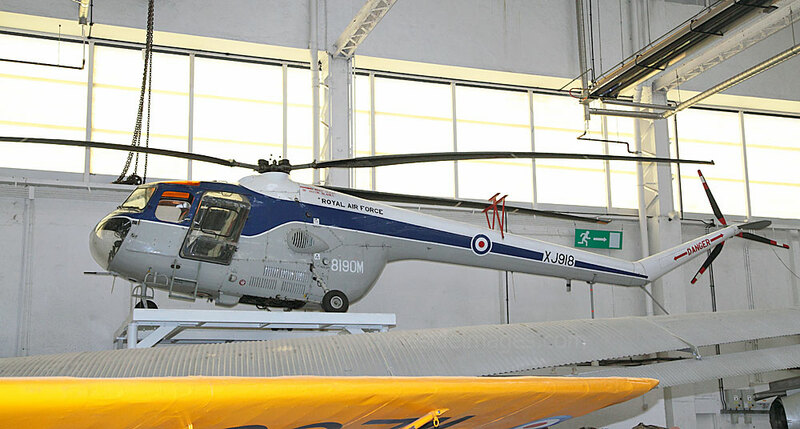 The Wessex was a development of the USA`s Sikorsky S-58 and was produced at the Westland factory at Yeovil initially for the Royal Navy with deliveries of HAS.1s commencing in 1958. In 1962 the first of the HC.2 variants were delivered to the RAF beginning with 18 Squadron at RAF Odiham. Cosford`s example is an HC.2 XR525 (G). The Sycamore was the first British-designed helicopter to fly and serve with the Royal Air Force and was used mainly for search and rescue and anti-submarine warfare. A total of 180 were built and the type entered service with 275 Squadron, RAF, in April 1953. Fifty Sycamores were supplied to the German Federal Government, and a further three to the Belgian Government. 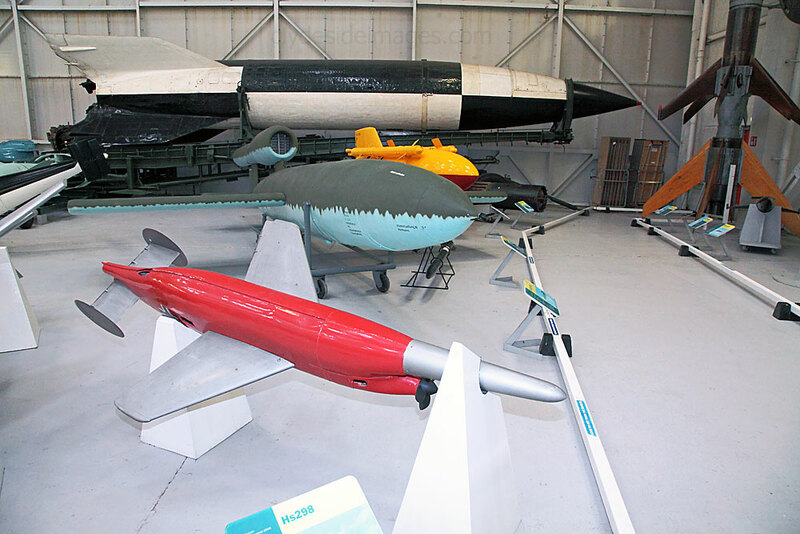 Missiles on display include the infamous WW2 V-1 and V-2 flying bombs. The first V2 (A4) missile fell on British soil at Chiswick on 8 September 1944. Although some 10,000 A4s were produced, only about 3,000 were launched offensively. Primarily moved by rail, it was mounted on a wheeled Transporter/Launcher. 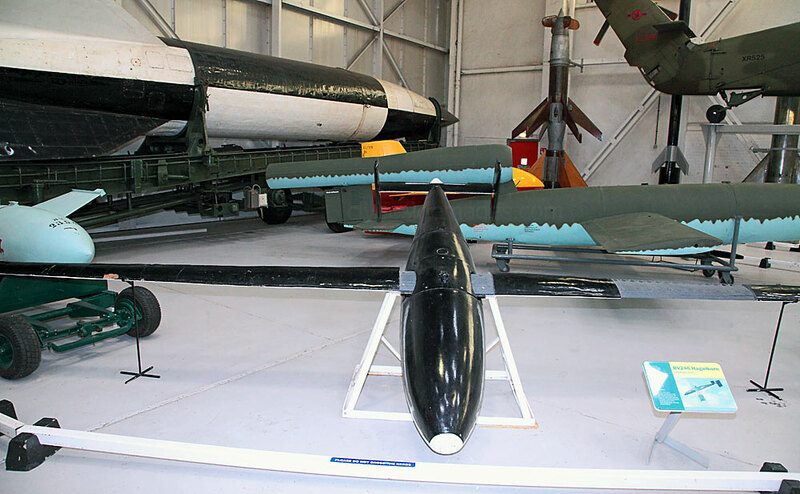 A Henschel Hs-117 Schmetterling (Butterfly) missile​ is in the foreground. This was a radio-guided Surface-to-Air (SAM) missile project but they never went into mass production before the Third Reich fell. Above: A closer view of the V2`s mobile launcher. On the right is a Rheintochter (Rhine Maiden) R1. 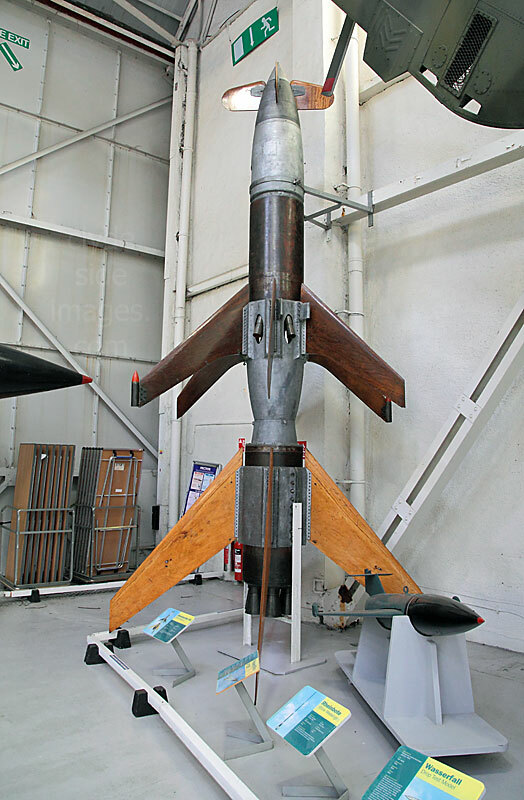 This German radio-controlled surface-to-air missile (SAM) dates from 1944. Eighty-two were fired before development was stopped in favour of the Enzian and Rheintochter R3. ​A BV-246 Hagelkorn (Hailstone). This ‘glide bomb’ was developed to improve the bombing accuracy of the Luftwaffe and it had a range of 210kms (130 miles) if dropped from 10,500m (34,450ft). Production began in late 1943, but after 1,100 had been delivered in only two months, the project was cancelled. Those that had been supplied to a front-line unit were released from FW 190F-8s. The Holzbrau-Kissing Enzian (Gentian Violet), made mainly of wood, was a liquid fuelled radio-controlled surface-to-air missile with four solid fuel boosters. 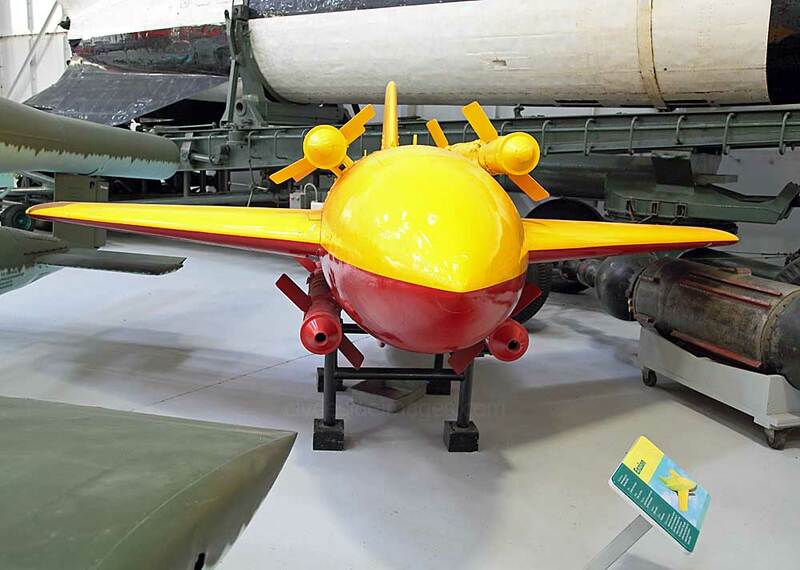 The missile`s design owed much to the aerodynamic principles of the Me-163 rocket powered interceptor. Launched from a modified 88mm gun platform, the Enzian had a range of 25.7km (16 miles) and carried a 300kg (660lb) warhead. More than 60 were built of which 38 were tested before the programme was cancelled in January 1945. 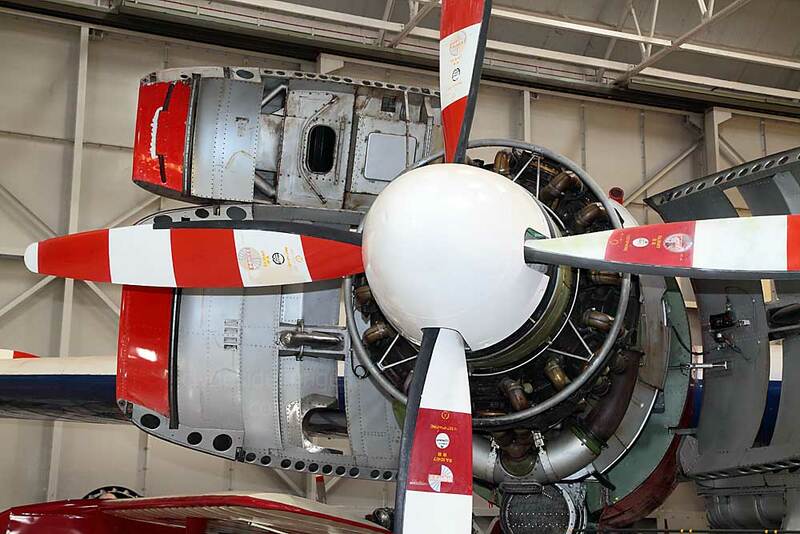 Numerous aero engines are also on display in Hangar One. 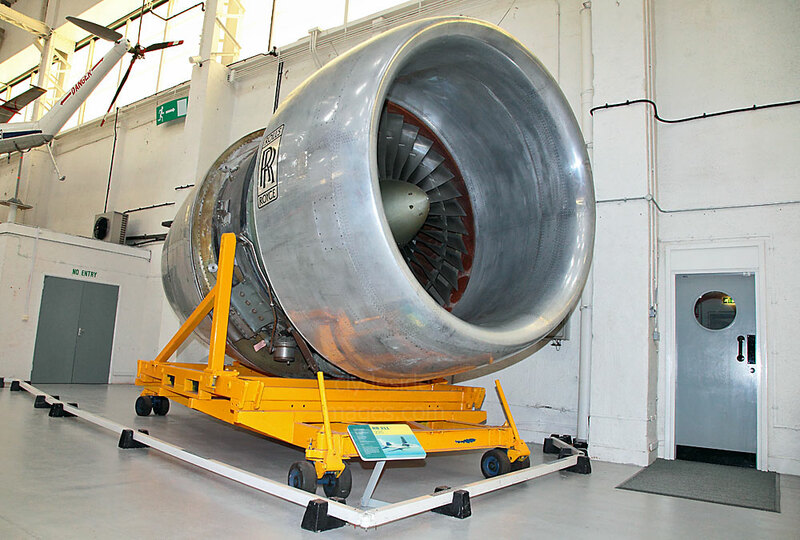 Pictured below is a Rolls Royce RB 211 22CC turbofan engine which was originally developed to power the Lockheed L-1011 TriStar.